Dec 11, 2016 | eNews Etc. Ven. Chodron is winding up a series of teachings in Singapore and Malaysia. Last week, Annette, one of Ven. Chodron’s Singapore students, came by Pureland Marketing where Venerable is staying. 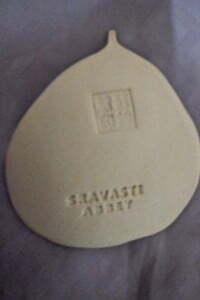 Annette wanted to make an offering—108 hand-made ceramic bodhi leaves, each stamped with “Sravasti Abbey” on the back. Despite being born with a developmental disorder, Annette has a positive outlook on life and attends Dharma talks whenever she can with her mother’s support. On Ven. 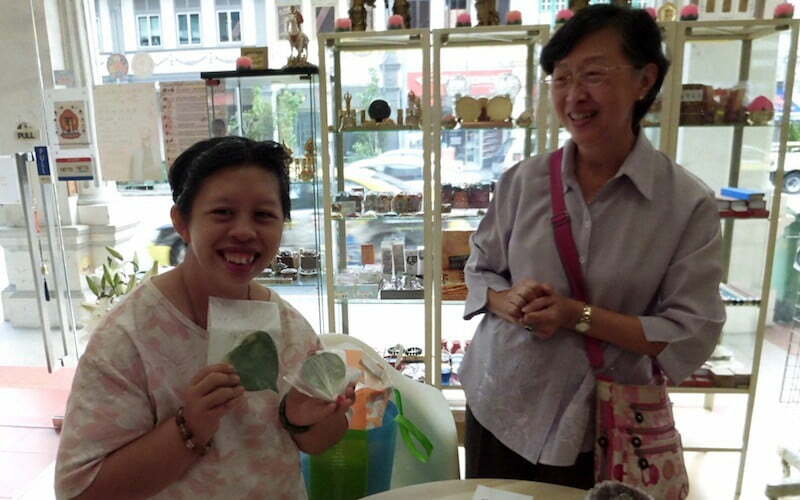 Chodron’s visit to Singapore last year, Annette promised to use her handicraft skills to make an offering to the Abbey. 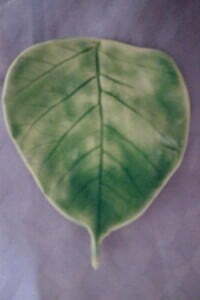 These beautiful bodhi leaves—all 108 of them!—are that offering. Among many teachings given in Singapore this year, Ven. Chodron gave two talks on The Power of Joyous Effort from Chapter 7 of Shantideva’s Engaging in the Bodhisattva Deeds. Hosted by Pureland Marketing, Talk One and Talk Two are both available in English on Pureland Marketing’s YouTube channel. delighted, and everyone at the Abbey is grateful.